The World Meeting of Families officially has opened at the Royal Dublin Society in Dublin, ahead of Pope Francis' weekend visit as the Argentine pontiff addressed a crisis around sexual abuse in the Catholic Church. Under Pope Francis the church has cracked down on those found engaging in sexual abuse but the failure of the Catholic bishops in different parts of the world to deal the issue has come to haunt the church, including in Ireland. The Archbishop of Dublin Diarmuid Martin on Aug. 22 welcomed the thousands of international visitors "to celebrate and foster family life" after the Pope had issued his "Letter to the People of God." The World Meeting of Families is held every three years, with thousands of people from across the world attending, the BBC reported. It is the first time the event has been held in Ireland. In his message, the pontiff sent a "warm word of greeting to all the Irish people." "Although the specific reason for my visit to Ireland is the World Meeting of Families, I would like to include all the members of the Irish family," he said. "In a particular way, I pray that it may further the growth of unity and reconciliation among all Christ's followers, as a sign of that lasting peace which is God's dream for our whole human family." 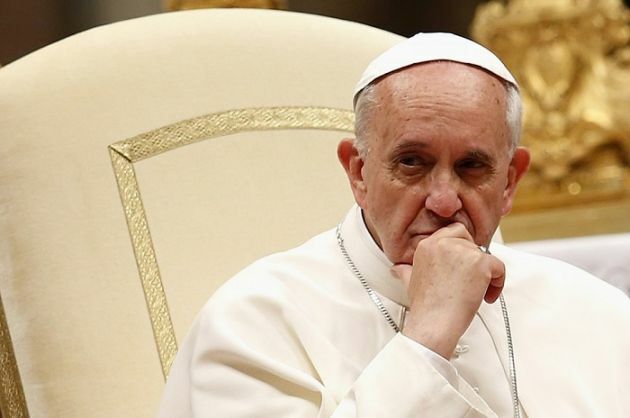 The Pope's letter comes in response to an ongoing crisis of sexual abuse by "a significant number of clerics and consecrated persons," Vatican News reported. It noted that were covered up and perpetuated by those who should have been protecting the vulnerable. In particular, the Francis referred to a report released by a Grand Jury in the U.S. state of Pennsylvania. He wrote that the report "detailed the experiences of at least a thousand survivors, victims of sexual abuse, the abuse of power and of conscience at the hands of priests over a period of approximately seventy years." Despite being prompted by the recent scandals, the Director of the Holy See Press Office, Greg Burke insisted that the letter was meant for the whole Church. "This is about Ireland, this is about the United States, and this is about Chile. But not only. Pope Francis has written to the People of God – and that means everyone," said Burke. In his letter, the Pope speaks of the realization that the "wounds" caused by abuse "never disappear and that they require us forcefully to condemn these atrocities and join forces in uprooting this culture of death." He admits that the Catholic Church has failed to deal adequately with the crisis of abuse. "With shame and repentance, we acknowledge as an ecclesial community that we were not where we should have been, that we did not act in a timely manner, realizing the magnitude and the gravity of the damage done to so many lives," the Pope says.